Transport for London (TfL) is to begin licensing its contactless ticketing system to other major cities across the globe as part of a deal worth up to £15m with Cubic Corporation’s business unit Cubic Transportation Systems (CTS). 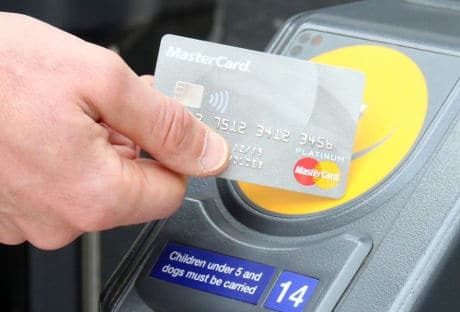 “The licence will grant CTS access to London’s contactless system, allowing it to be specifically tailored for other world cities’ transport systems,” TfL says. “TfL and CTS have a long-running partnership, having worked together to introduce the Oyster card system in 2003 as well as working together with the UK card industry to make TfL the first public transport provider in the world to accept contactless payment cards. “We’re delighted to have agreed this licensing deal with Cubic Transportation Systems to introduce our contactless payment system to other world cities,” says Shashi Verma, chief technology officer and director of customer experience at TfL. Contactless journeys launched across transport in London in September 2014. TfL clocked up 100m contactless payment journeys in June last year.